HOW TO HELP YOUR CHILDREN ACHIEVE A 4.0 GPA | Dojo Academy - Tutoring. SAT Prep. College Counseling. HOW TO HELP YOUR CHILDREN ACHIEVE A 4.0 GPA | Dojo Academy - Tutoring. SAT Prep. College Counseling. I graduated from both middle and high school with a 4.0 GPA and from a young age was guided by my parents and teachers to develop habits and routines that helped me maintain it. Schools give students agendas to help them learn how to organize and remember their upcoming assignments and projects. In both elementary and middle school, teachers often require that parents sign their students’ agendas at the end of every day or week. This is done so that parents know what and how much homework their children have to do. I was responsible for doing my own homework, but my teachers had my parents sign my agendas to hold them partly accountable for any assignments I failed to turn in on time. My grades were thus partly a reflection of how well my parents did their job in guiding me. For my parents, academics and health always came first. After I returned home from school, they would always tell me I had to do my homework before I could do anything else. When they were at work, my older sister assumed their role by checking to see if my homework was finished before I went out to play. Then, when my parents came home they would re-check my work, sign my agenda, and make sure that I put my books and papers back in my backpack before the next school day. Create a suitable learning environment for your child. My parents invested in a small table with a pull-out drawer and lamp for my studies. Absolutely no distractions were allowed when I was studying — no loud music or television playing in the background. Unless I needed a computer to do an assignment, I wasn’t allowed to have one turned on or near me while I was doing my homework. My older sister would make sure I studied and helped me with any homework problems or questions I didn’t understand. Most people who work expect compensation. Adults work for money. Children often do school work because they are encouraged by their parents, do not want to disappoint them, and/or enjoy school. Students can become motivated to do better when they receive uplifting compliments that make them feel capable and loved. Since my parents had laborious, low-paying jobs, my incentive to do well in school was to have a better future. Whenever I received an A, my older brother would give me a dollar. When I received an award such as a medallion or trophy, my parents saved up money to buy me a nice gift. 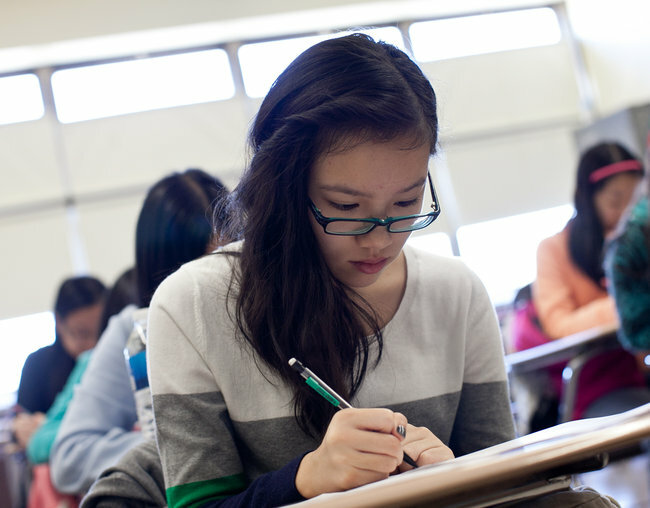 Many schools offer special programs for honors students. If your child has the opportunity to join such a group, let her, as these organizations usually offer fun incentives for students if they keep their GPAs above a 3.0, and those who maintain a 4.0 are often given more recognition. In these groups, she’ll also be able to make friends with like-minded peers. I was a member of the National Junior Honors Society [NJHS] while in middle school and the Math Educational Resources Integrated with Technology and Science program [MERITS] while in high school. Both organizations helped motivate me to keep my GPA high and make intelligent friends. When we’re sick, we can’t work at our full capacity. Help your children stay healthy by teaching them how to eat healthy foods and stay active. If and when they do become sick, they will likely recover quickly from having developed a strong immune system. Although studying is important, it is also vital that your children stay healthy so they can reach their full potential and put as much energy as possible into their studies.